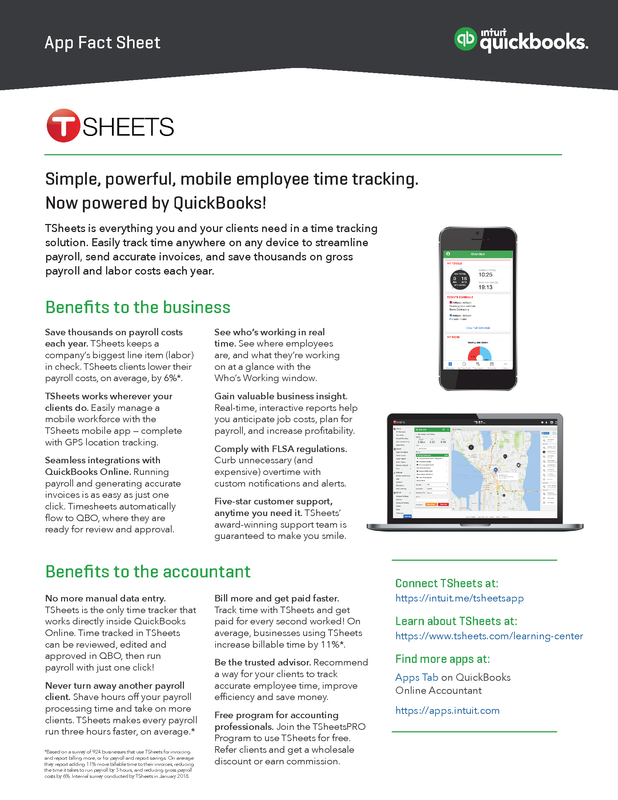 Now powered by QuickBooks®, TSheets is everything you and your clients need in a time tracking solution. Easily track time anywhere on any device to streamline payroll, send accurate invoices, and save thousands on gross payroll and labor costs each year. Download a PDF version of this App Fact Sheet to keep and share with your clients. Editor’s note: Check out this TSheets Case Study and Checklist.